Adding new floors throughout your home can be exciting, but also a little overwhelming because there are so many different types. Here at PRO! Flooring Brokers, we want to help you figure out which flooring is ideal for your family. One of the main reasons people select laminate flooring is the budget. Laminate flooring is affordable, and it looks incredible. You can save money while still getting the specific flooring look you want throughout your house. Many people prefer laminate flooring in Denver because it looks identical to hardwood floors. 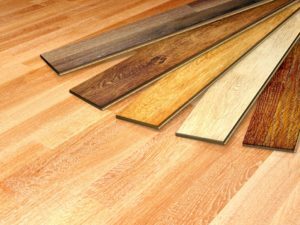 Whether you have children, pets, or just need durable flooring throughout the home, laminate flooring should be your go-to choice. This sustainable flooring option is ideal because it is scratch resistant. You do not have to worry about the floor getting scratch because you dropped something on it. Spilling liquids on floors is inevitable, so you need to choose flooring that is moisture resistant because you do not want to cause additional damage. If you are interested in learning more about our selection of laminate flooring in Denver, you can give us a call at (303) 788-0113 and schedule a time to tour our showroom to see first-hand our stunning laminate options for your home.